While Soma is obviously known as a sushi bar, what really sets it apart from other similar restaurants is its kitchen. Soma's kitchen is helmed by the very talented and experience Jason Hauck, who was workd as a sous chef at some of the best known fine dining restaurants in Houston. 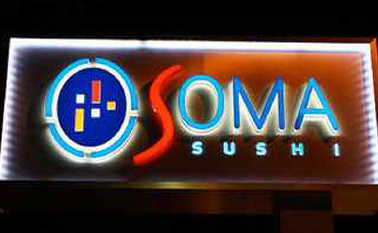 Don't let the word sushi on the sign fool you, Soma is serving up some of the finest hot food in the city of Houston, to go along with its fine sushi bar. It's a great trendy atmosphere, perfect for the young working adult.